I’m not sure about you, but for me it is always such a wonderful feeling to wake up to a beautiful Spring day. With the sun finally shining in Melbourne yesterday, I couldn’t resist setting up a special story to read with my daughter (Cam) under the gorgeous blossom tree in our front yard. Being a Sunday, my husband was also home to enjoy the story with us. I’d like to share with you a creative way you could share a story with your child, by using props and creating a scene to assist in the story-telling. Bringing books to life in this way is so much fun. It is also a cost effective activity for the school holidays. 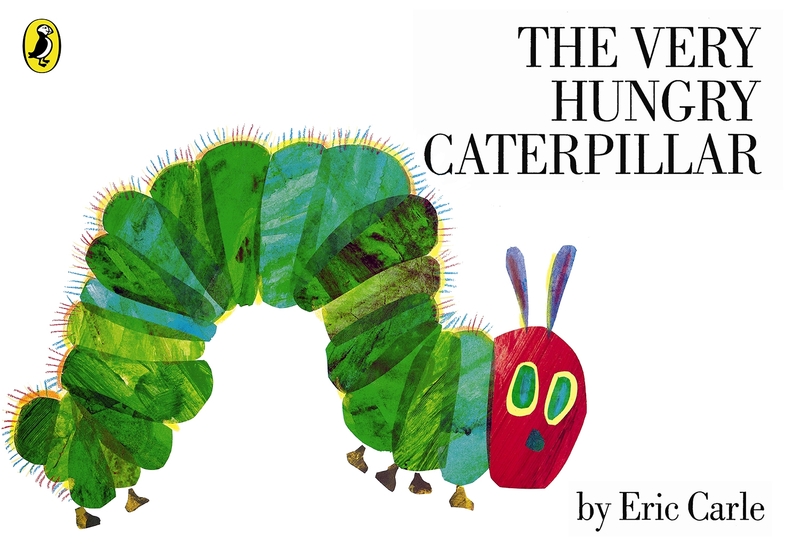 ‘The Very Hungry Caterpillar’ by Eric Carle seemed like a perfect ‘Spring’ book for us to read together. When Cam woke up, I took her outside to see ‘The Very Hungry Caterpillar’ scene that was awaiting her. She was so happy to see her little friend (the caterpillar), but she was even more thrilled when I sat her down in front of the picnic basket where she excitedly explored the contents of the basket. Although the picnic basket was full of healthy foods: an apple, pear, orange, strawberries and cheese, it was the cake that caught her eye! She was so excited about finding the treat that she even said ‘cake’ for the first time. We had read this book numerous times before, but this time we took lots of breaks in the story. At each page, we stopped to search through the picnic basket, giving Cam time to find the next food on the list. She thought it was hilarious that the caterpillar was munching on our picnic as she pulled each item out of the basket. When we finished the story, we relaxed and enjoyed our picnic feast under the gorgeous blossom tree. Needless to say the cake was a special treat! It truly was a special way to spend a sunny day with my family. It is a day that I will treasure, and one I think Cam will surely remember. Creating a scene for our children can help them connect to a story. Their understanding of the world around them can make more sense when they can relate stories to their own experiences. Are you interested in giving it a try yourself? Some of the food eaten by ‘The Very Hungry Caterpillar’ such as apple, pears, plums, oranges, strawberries, cheese, pickle, watermelon. 1. Fill a stocking with tissue paper and use string to tie off the segments of his body. Use pipe-cleaners as antennae and add some googly eyes. 2. Cut out discs of coloured card. Glue them together (slowly overlapped) to create the body of a caterpillar. Draw some facial features. to suit the age of your child. Feel free to share your experiences. What props did you use? What book did you read? How did your child react to the experience? Children would love this interactive and tactile experience of handing the fruit and feeling it's texture. You can tell by the photo's of the little girl, how much she enjoyed participating in this story.